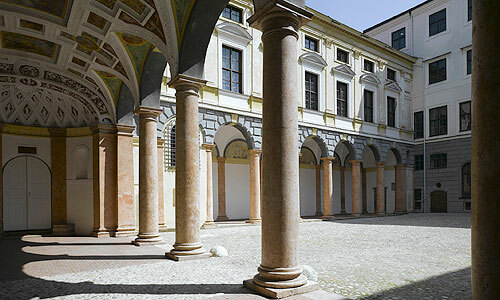 The Landshut Town Residence is an artistic and architectural gem, a spectacular Italian Renaissance palace transported into a northern setting. Duke Ludwig X of Bavaria, residing at Trausnitz Castle in his function as governor for his brother who ruled in Munich, laid the foundation stone for a new residence in the town in 1536. This was begun in the German Renaissance style under the direction of the Augsburg architect Bernhard Zwitzel, and later called the "German Building". 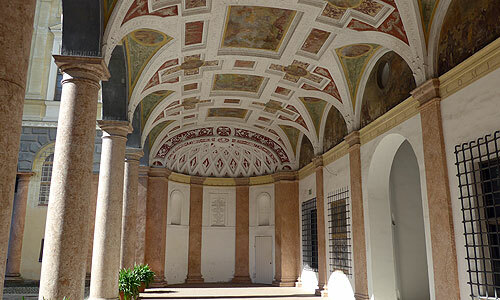 A journey to Upper Italy acquainted the Bavarian duke with the modern residences of the Italian princes, in particular the Duke of Mantua's Palazzo Te, and gave him fresh inspiration. 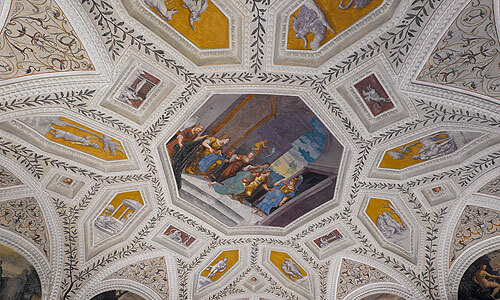 Behind the German Building a second palace, the "Italian Building", was begun in 1537 under the direction of Italian architects, and eventually extended with two wings that linked it to the German Building. The spacious Town Residence complex thus surrounds one of the most beautiful Italian-style courtyards north of the Alps. 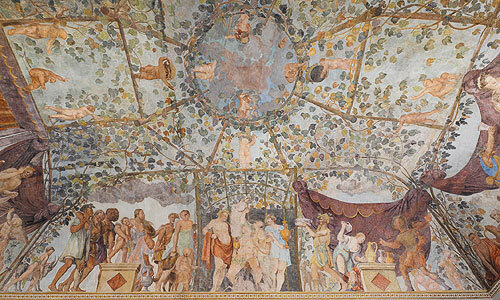 Inside, the high vaulted halls were decorated by Italian stucco-workers and painted by the artists Hermanus Posthumus, Hans Bocksberger the Elder and Ludwig Refinger with important picture cycles on biblical, mythological and historical themes. The complex was completed in 1543. 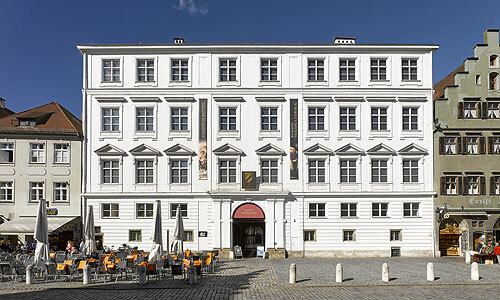 The Town Residence underwent alteration when Count Palatine Wilhelm von Birkenfeld-Gelnhausen resided here with his court from 1780 to 1799. It was then that the façade facing the old town was redesigned in its present neoclassical style. 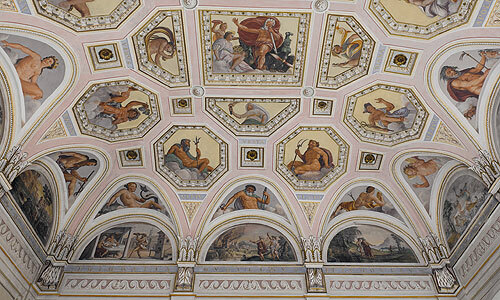 The apartments of the Count Palatine in the German Building, the Birkenfeld Rooms, are also from this period. 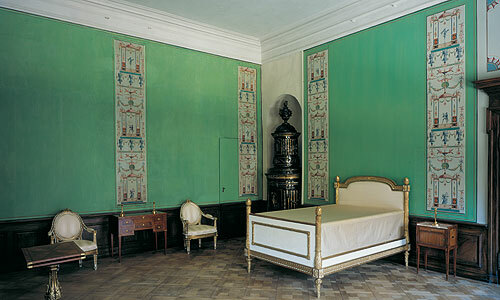 The French neoclassical wallpaper in this flight of rooms, a rare example of early wallpaper, was found and uncovered when the rooms were restored from 1993 to 2003. 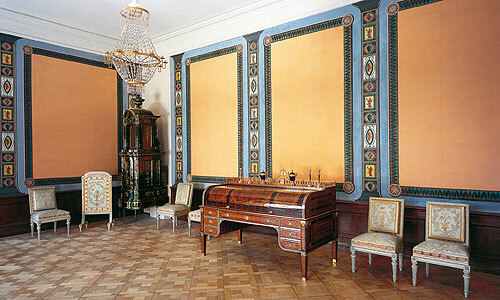 It was put up when Crown Prince Ludwig, who later became King Ludwig I of Bavaria, occupied the Birkenfeld Rooms when studying in Landshut. 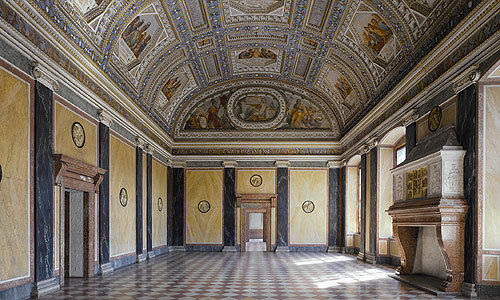 The halls of the Italian Building, the palace chapel and the Birkenfeld Rooms can be visited on the regular guided tour.